If you have an eye for talent, a career in Human Resources could be your calling. But first you have to prove it by coming up with an HR Generalist resume that would land you the job. As the old saying goes, “It takes one to know one.” How can you distinguish the best of the bunch if your own resume won’t even make the cut? You should know what information goes into an application and how these details are presented. But it always pays to have another set of eyes and this is what we are here for. We have designed an HR Generalist resume sample that can get your application to the top of the heap. Address: 204 Williams Street, Tallahassee, FL. Current Job: HR Generalist; Grand Tuscany Hotel, Tallahassee, FL. PHR Certified HR Generalist with 8 years experience in the position and more than 10 years in the Human Resources industry seeks to establish a career with Ignition Resource Process Incorporated as its new HR Generalist. Over the years I have been involved in the growth and development of human resources in the companies I’ve worked with. I hope to share my experience and expertise with your company and contribute to the optimization of the human asset. Professional in Human Resources (PHR) certified HR Generalist. 8 years experience as an HR Generalist. More than 10 years experience in Human Resources. General knowledge of labor laws and practices. Proficient in MS Office and HR systems software such as Workable, Zoho Recruit and UltiPro. Grand Tuscany Hotel, Tallahassee, FL. Provides support and assistance to management team on handling and resolving Human Resources issues. Attends to employees’ requests internal and external transfer requests. Conducts due diligence work on all applicants who have been scheduled for preliminary interviews. Due diligence work includes contacting previous employers, associations, law agencies, carrying out a Google search and checking social media presence. Schedules drug screening, verifies validity of all submitted identification materials and documentation including social security numbers of applicants. Manages and updates personnel files for old and new hires in the Human Resources Information System database. Ensures that all hiring and recruitment processes are in compliance with all local, state and federal laws. Powerbuilt Development and Construction Company, Las Vegas, NV. Implemented the company’s policies and procedures; worked to ensure all HR provisions and regulations are in accordance with current state and federal laws.. Collaborated with managers; including the internal and external agencies regarding matters on new job positions in the company. Provided guidance to all employees throughout the relocation process and coordinated with relocation vendor to ensure smooth and successful transition. Conducted preliminary screening on all applicants: reviewing CV’s, scheduling practical and basic skills tests and selecting candidates for initial interview. Assisted HR in expanding the scope of the recruitment process by using the Internet, job referrals, job fairs, trade shows, 201 re-evaluation and cold calling. Prepared recruitment and applicant tracking reports for all company-wide recruitment activities. Responded to all inquiries from employees regarding union/ non-union benefits, retirement, performance and attendance bonuses. Assisted HR in developing career path and succession planning program. Actively participated in the coordination of onsite development training, compliance training and other HR-related events. Coordinated and scheduled all pre-employment screenings for new hires. Hobbies include tennis, travel and Yoga. It is often said that the employee is the most important but overlooked asset in any organization. The ideal HR Generalist skills list should include the abilities and attributes that can help optimize the talents of the employees for the benefit of the company. Education. You must have a strong foundation of knowledge on human resources. 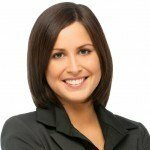 Companies will always prioritize applicants who have completed a four-year course in Human Resources or Psychology.Employees are difficult to manage because each one has a unique personality. They respond differently to instruction and performance is tied in to how they are managed.This is why companies are spending more resources on finding people who can fit in their organizational culture. There have been more developments in the field of Human Resources over the last few years.Concepts such as Behavioral Leadership and Resource Process Management advocate leadership development as the key to maximizing the abilities of every employee. Certifications. You don’t have to be certified as an HR Generalist but it would be to your advantage if you can secure a recognized certification in the industry.In our sample resume for HR Generalist, the candidate Marianne is certified as a Professional in Human Resources (PHR) which is given by the Society for Human Resources Management through its HR Certification Institute.When a Hiring Manager sees this type of recognition, he/she will immediately separate you from the rest of the applicants. Any additional training that you receive and which is relevant to the nature of the job, saves the prospective employee time and money. Knowledge of Current Labor Laws and Regulations. Another reason why employees are complicated to manage is because they are covered by a variety of laws that are designed to protect their rights.As an HR Generalist, you have to make sure the company’s employment contracts, policies and benefits schedule are in strictly compliance with current labor laws.All it takes is one slip up to get a disgruntled employee to file a grievance case against the employer. Excellent Interpersonal Skills. In HR, you have to know how to get along with people. This means being a great listener and less of a talker. You should have the skills to get people to give their best 100% on a daily basis and most importantly, have everyone working together.If employees are constantly thinking about their benefits, salaries, bonuses, career path and future then HR has not done a good job in establishing a productive work environment for its people.You don’t have to assure them. All you need to do is let them know you are watching out for their interests as well. Computer Proficiency. It will be difficult to land a job if you are not knowledgeable in computer programs that are popularly used in your industry.In HR, these include talent management and payroll/benefits software programs like Qualtrics Employee Experience, Workable, Zoho Recruit and iCIMS Talent Acquisition Suite. If you’ve been working in Human Resources, you know hiring managers like their objective statement short and concise. Do the same for your HR Generalist resume objective. As you are well aware of, this section is used primarily as a formal introduction to the potential employer. The best advice we can give you when composing your objective statement is to write in your own voice. Your personality should come out. In the example of a resume objective for HR Generalist, we led off with Marianne’s certification and long tenure in the industry. Why? First these are her strong points. Conclude your resume objective with what you expect to get out of this application. In Marianne’s case it would be the position of HR Generalist for Ignition Resource Process Incorporated. Don’t assume that “It goes without saying”. Companies want to know for sure your personal expectations. Since you don’t have to be certified or licensed to become an HR Generalist, you have to place your experience and capabilities front and center. The best way to do it is with the reverse chronological as your HR Generalist resume format. Did you notice how we arranged our sample template for HR Generalist resume? We placed Work Experience in the middle. This is because we wanted to set up Marianne’s scope of work with her main selling points that were identified in the Objective Statement and Strengths sections. The HR Manager would think, “If she says she has more than 10 years experience in HR, let’s see what types of work she has done.” When the HR Manager gets to her Work Experience, he/she would see her latest employment and note her current skills and competencies. Take full advantage of the opportunity and identify up to eight responsibilities that stand out from your scope of work. Even with an entry level HR Generalist resume, you can still get the job as long as you can show you can handle all of the responsibilities. 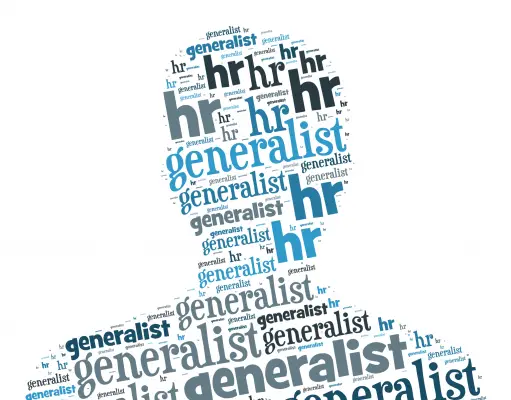 If you are applying for the job as a way to get promoted in the industry, highlight the responsibilities you did in the lower tier designation that mirrors the work of an HR Generalist. In our sample job description for HR Generalist resume, Marianne was an HR Officer before she applied for the job. Assuming that you crossing over from another career, pinpoint the tasks you did that are relevant for HR work. For example: Putting out job posts, interviewing candidates, new employee orientation, tracking benefits and evaluating performance. Don’t Lie – It should go without saying but if you try to build yourself up to more than what you really are, it could set off the alarm bells and have the recruiter searching for the truth. You should know that experienced recruiters have a keen intuition on truthfulness. Don’t take chances and share only real facts about yourself. No Spelling Mistakes and Grammatical Errors – As someone who is in HR, coming across spelling mistakes and grammatical errors is like biting into a burger and finding a piece of hard bone in it. Ouch! This is inexcusable for HR. Make it an Easy Read – You should know how horrible it is to come across a resume that uses a size 8 font and packs in 40 words per sentence. Make it easy for the recruiter and use highly visible size 14 font and keep your sentences short. As you know, resumes should never stay the same. Update yours constantly with every new skill and experience that you acquire. Most of all, use our HR Generalist resume sample to fine tune your application. If this HR Generalist resume example wasn’t sufficient for you, you are free to review some other samples and templates from our site. Browse to some related resumes below and find your inspiration.